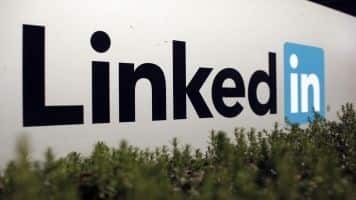 Vertical networks with a focus on single profession are posing a challenge to generic ones, including LinkedIn, as highly-skilled professionals along with recruiters are flocking to these networks, experts say. Vertical social networks like GitHub, StackOverflow, Curofy, Doximity are growing in popularity and are also attracting big money from investors that demonstrate their potential. HR experts believe that these niche networks are perfectly placed to make an impact on the recruitment landscape because of the specific audience they cater to. "Millions of users have diverted from LinkedIn taking advantage of industry-specific services provided by vertical networks. They have also been successful in raising enormous amount of money from investors," said Maanendra Singh, Antal International, a global recruitment company. Nipun Goyal, co-founder, Curofy, a mobile platform for doctors to connect with other doctors, said "in a world where recruiters are looking for specialised skills, these networks make a lot of sense". Goyal further said that in recent times, niche vertical networks have gained momentum. Academia.edu boasts of more than 25 million users, GitHub reports having more than 12 million users and over 5 million IT professionals use Spiceworks. Vertical networks GitHub and StackOverflow are for software engineers, Curofy and Doximity (doctors), GrabCad (mechanical engineers), Spiceworks (IT professionals), Academia.edu and ResearchGate (academicians), Kaggle (data scientists), Edmodo (teachers), RallyPoint (militarymen), Avvo (lawyers) and Strava (athletes). "In the long run, horizontal platforms like LinkedIn will have to adopt strategies wherein they can accommodate network within a network model by aggregating small networks to simplify selection procedure for companies and at the same time regain high levels of engagement and traction on their sites," Antal International's Singh said. Moreover, the huge amount of funds raised by these networks demonstrates their potential as it provides them fuel for future growth. Reportedly, GitHub had raised USD 250 million while Spiceworks raised USD 111 million, Doximity USD 82 million and Edmodo USD 87.5 million. "These niche sites have relevant traffic. Hence, these are excellent places to advertise job openings. From these, one can redirect people to the right job post on corporate career websites, LinkedIn or any other job portal for online assessments and virtual recruitment," said Vibhore Goyal, co-founder, CoCubes Technologies. Arvind Singh, Director, First Job, which focuses on entry level/frontline roles said, "These niche payers are not only having the potential to change the job market scenario, but also keep the ability to change the status quo in the market." Executive Access MD Ronesh Puri hoped that these players will take up some part of the market share and at the same time the growing Indian economy will help all sustain in the market.